Using a ride-hailing service will cost around $3,400 per year, compared to car ownership that will cost around $9,000 per year. A difference of $5,600 annually might be enough for many consumers. A pool-based model, similar to Uber Pool or Lyft line where the passenger shares the ride, will cost just $1,700. Subscription models, similar to Spotify. would (be even) cheaper than car ownership. n the future, cars will be owned by businesses, enthusiasts, and the mega-rich. It may sound like the start of a sci-fi thriller, but a new report claims that by 2031, calling an autonomous electric vehicle from an Uber-styled service will be far cheaper than paying money to own and maintain a car. This will have a knock-on effect that will end car ownership as we know it. These savings will increase over time, and some businesses may even offer rides completely free of charge. At a cost of one cent per mile, a passenger could take the van on a 10-mile commute and buy a $3 coffee inside. Starbucks, seeking a captive audience for its product, would happily cover the ten cent cost to get new consumers on board. It’s not just ad-powered free rides that will take people to work, though. Transportation as a service could see the rise of subscription models, similar to Spotify. Rather than paying a $10 one-off charge to take an Uber across town, users may take out unlimited subscriptions that would still work out far cheaper than car ownership. This move toward businesses owning cars would even change car manufacturing itself. Today’s vehicles aren’t designed for longevity, as technology advancements mean people don’t want to keep cars for that long. With a ride-sharing model, businesses will want cars that can withstand thousands of miles with multiple occupants almost constantly. These new vehicles will be used around 10 times more than traditional cars, granting more value from a single vehicle. Where cars are currently used around four percent of the time, autonomous rideshares will be occupied 40 percent of the time. Over the course of their lifetime, shared cars will drive 500,000 miles — that’s two and a half times more than the average privately-owned car. Tesla CEO and futurist Elon Musk, of course, has a vision of this future that he shared recently. “Absolutely this is what will happen,” Musk said last week at the TED 2017 conference, when asked if people will stop owning cars. There will be a shared autonomy fleet where you buy your car. You can choose to use that car exclusively; you can choose to have it be used only by friends and family; only by other drivers who are rated five-star; you can choose to share it sometimes but not other times; that’s 100 percent what will occur, it’s just a question of when. It’s not just autonomy that will enable savings though. The rise of the electric vehicle has led to greatly simplified designs that mean reduced costs. The report claims that choosing battery power over gas will lead to an 80 percent decrease in maintenance costs and a 70 percent decrease in fuel costs. 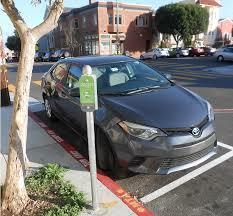 As people move toward electric, gas car support will suffer, making maintenance and refueling harder. It isn’t the first time a report has suggested that autonomous cars will transform business. In March, the Society of Motor Manufacturers and Traders said that the vehicles will allow people to pursue higher education further from home, leading to salary increases of $10,691 per year. Jeffrey Tumlin, director of strategy at Nelson/Nygaard, has gone one step further, explaining that Amazon will have your card details on file to enable seamless purchases in a theoretical Amazon car. But all these ideas depend on automakers cracking the self-driving car, and they all have different goals in mind. Tesla envisions a future where people let their cars drive others around, passing the money back to owners and offering the cost of the vehicle. Mobileye, on the other hand, wants to work with automakers to incorporate autonomous driving technology into existing vehicles. Google-developed Waymo has similar plans to sell its technology to automakers, and it seems that Apple will do the same. Eventually, the dust will settle and it will grow clearer what business model is best, but one thing’s clear: a revolution in car ownership is coming.